This new page is a gateway to a range of specially selected weather-station accessories that we are planning to offer. These accessories will all be noteworthy in some way, either as interesting and unusual sensor types or simply as best-in-class value for more familiar weather accessories. We have a number of further products in mind to add to this range during 2013, which will be listed on this summary page as they become available. We won’t always be able to post full product and price details immediately, but if you see a new product described here on this summary page it will be available for purchase – please contact us directly for further information. This is a unit able to record accurate values for hours of bright sunshine and with an interface to the rain gauge input of Davis Vantage Pro and Pro 2 weather stations (and also to the older Davis Weather Monitor II model). The sunshine hours figures can therefore be logged by all standard Davis logging systems. The Davis VP2 range does of course already include a sunshine intensity sensor, which performs well. But this is a different kind of sensor since solar intensity is a very distinct weather parameter from the more traditional measure of bright sunshine hours, in which there is still considerable interest. While it is possible to fudge a conversion from intensity values to sunshine hours, this is a crude calculation and prone to large errors, especially under certain sunshine conditions. 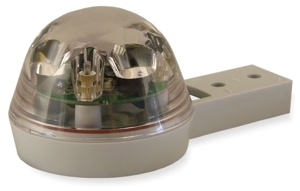 In contrast, this new sensor adaptation is able to measure sunshine hours directly by means of a tried and tested shadow sensor and to present the resulting values via an interface designed to be compatible with Davis rain gauge inputs. Full details will be found on the IM sunshine sensor page or please contact us with any further questions. Because of its cup-based speed sensing, this unit will measure speed accurately with the wind blowing from any direction – unlike many impeller-type hand-held anemometers there is absolutely no need to try to guess the wind direction first and then attempt to point the unit into the wind in order to get a meaningful speed reading. If you’ve ever tried to use an impeller-type anemometer you’ll know just how frustrating it can be trying to get a consistent reading. But simply hold this Vortex anemometer aloft for a few seconds and you’ll see an easy-to-read wind speed reading appear on the LCD display. This unit is both rugged and versatile – use it for for crop-spraying wind-checks, kitesurfing, windsurfing,storm chasing, target shooting, model aviation, weather monitoring, and all kinds of wind-related activites! 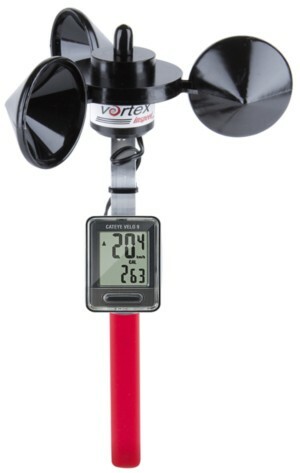 For further details please see the Vortex anemometer main page. The RG-11 is a novel, futuristic and inexpensive (£95) optical rain sensor with particular appeal for experimentalists. It consists of a clear hemispherical dome within which a set of light beams are reflected and constantly monitored. When rain or water droplets (for example dew or condensation) start to form on the outside of the dome, the beam reflection pattern changes in a subtle yet detailed way which can be translated by onboard firmware into a carefully-processed output signal. Please note that the RG-11 is not marketed as a highly accurate rain gauge, which it does not claim to be (although it is able to make respectable estimates of rainfall); rather, the RG-11 is promoted as a potential substitute for a standard automatic gauge under circumstances where the need for robust, long-term and essentially maintenance-free operation outweighs the need for ultimate accuracy. It also obviously has potential for use as an adjunct and backup to a separate automatic gauge where the extra sensitivity of the RG-11 can provide more detailed records during minimal rainfall events. Be aware that the RG-11 does need a source of external power (e.g. 12v 15mA) for operation, although there is also a slightly less sensitive ‘micro-power’ mode that can be set which should allow operation from a 9v battery at 1.5mA current draw. Please see the Hydreon RG-11 Rain Sensor main page for further details. The CoCoRaHS rain gauge is a good quality manual rain gauge, specially designed for use by amateur observers for making rainfall measurements of good accuracy but using a more affordable plastic gauge. This gauge is extensively used in the official US weather community; it has a 4″ diameter funnel opening and has been thoroughly tested and validated. Just to be 100% clear, this is a traditional manual rain gauge, which needs to be read and emptied daily in order to maintain an accurate year-round rainfall record. It may nonetheless be useful to customers of our automatic stations who might wish to use a manual check gauge for calibration and reference purposes. These gauges are now in stock and available with either metric or inch calibrations (please specify calibration preference when ordering). The CoCoRaHS gauge will shortly be added to the range of specialist accessories available from our online shop but in the meantime please contact us direct to order. For further details please see the CoCoRaHS Manual Rain Gauge main page.